Game 2 of the 2015 Stanley Cup Final showcased more of what the majority of hockey fans expected this best-of-seven series to be. The Tampa Bay Lightning were the highest scoring team in the NHL this season, and at this point, we should all be aware of what the Chicago Blackhawks capabilities are when it comes to putting the puck in the net. Add it all up, and we are in for what could be a classic series. In Game 1 these teams’ played the conservative style of game that ended in a 2-1 score. Tonight, was a wide-open contest with both sides sticking to the game plan that brought them to this stage. A style very marketable for the NHL. Many hockey enthusiasts were wondering if Tampa Bay’s young top line could hang with the Chicago Blackhawks? So, far so good. the triplets proved why they were the best line in hockey all season. This was virtually, already a must win game for the Lightning. 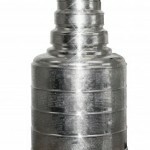 If you lose the first two games on home ice in the Stanley Cup Final; You are almost a guaranteed loser. Needless to say, this was an epic response. 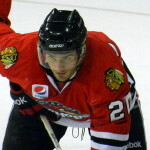 Patrick Sharp of the Chicago Blackhawks gave Tampa Bay a gigantic helping-hand in the cause taking back-to-back penalties which would ultimately lead to the Blackhawks demise. Jason Garrison’s power-play goal midway through the third period gave the Tampa Bay Lightning a 4-3 win against the Chicago Blackhawks. For reasons unknown, Tampa Bay Lightning goalie, Ben Bishop left the game on two separate occasions in the final frame. Youngster, Andrei Vasilevskiy replaced him and gets credited with the win. Now, that the series is tied and hockey fans witnessed such a thriller. It is hard to imagine what is next… If the issue with Bishop is serious … one would have to assume the Chicago Blackhawks have the edge going back home. If this pace continues we are in for a classic !